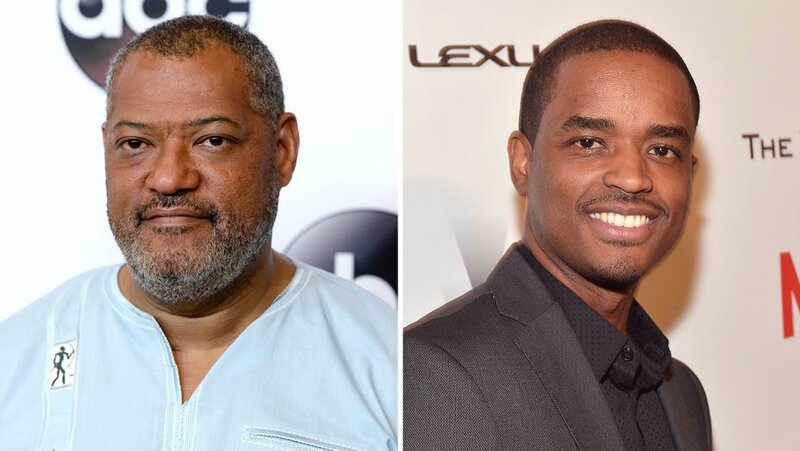 *Cinema Gypsy Productions and TateMen Entertainment alongside AudioHQ are set to release the 10-episode scripted audio drama, Bronzeville (with Laurence Fishburne and Larenz Tate). It’s an unparalleled look into Chicago’s “policy” games of the 1940s premiering on Tuesday February 7, 2017. The Bronzeville audio series will present hour-long episodes every Tuesday on digital platforms including Spotify, the Podcasts app and iTunes for Apple customers, GlobalGrind, Radio One Digital, SoundCloud, TuneIn and Google Play with new content debuting through April 11, 2017. The audio drama is presented by GEICO, Blue Apron, Quicken Loans, and Viceland. Written by Academy Award® and BAFTA nominee Josh Olson (A History of Violence), “Bronzeville” will chronicle the lives of players in the lottery games while illuminating the self-sustainability of the community’s African American residents. Following the audio drama’s debut, Larenz Tate and Laurence Fishburne, will host an invite only, intimate conversation on Thursday, February 9, 2017 at the New York Spotify offices, in honor of Black History Month. The duo will share the inspiration behind “Bronzeville” with Tamron Hall, co-host of NBC News’ TODAY and MSNBC anchor, who will serve as moderator. Wood Harris (“The New Edition Story,” Creed) as Everett Copeland, Omari Hardwick (“Power,” “Being Mary Jane”) as Jesse Copeland, Cory Hardrict (American Sniper, Brotherly Love) as Casper Dixon, Lahmard Tate (The Janky Promoters, Rocky Balboa) as Zeke Copeland, Patrick Heusinger (Jack Reacher: Never Go Back, “Quantum Break”) as Sammy Manetti, Lance Reddick (“Quantum Break,” John Wick: Chapter Two) as Frank Barnes, Michael Raymond-James (“Lethal Weapon,” “Game of Silence”) as Ben Faulkner, Brittany Snow (“Crazy Ex Girlfriend,” Pitch Perfect 2) as Marjorie, and Affion Crockett (Fifty Shades of Black, The Wedding Ringer) as Tiny and Joe Louis, among many others.